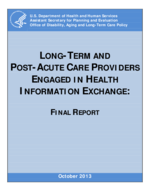 Over the course of the two-day site visit, a number of issues were identified related to information exchange in support of care transitions and ongoing shared care. Beechwood staff and community partners interviewed offered observations on barriers and opportunities for improvement to advance HIE, communication, and coordination of care. 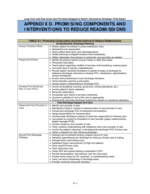 Availability of information for preadmission assessment and decision-making. Consistent and timely availability of hospital information was identified as a challenge/barrier by Beechwood. 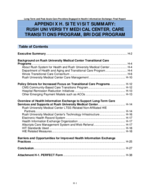 Some hospitals do not provide information to the HIE which makes the preadmission assessment and discharge planning processes challenging and fraught with potential delays. Some hospitals allow portal access to the EHR application, which allows access to data from the current stay for evaluation; however, it is inconsistent across area hospitals. Problems and delays occur in assessment and discharge planning when there is not a strategy to allow remote access to hospital data. Medication reconciliation challenges on admission. 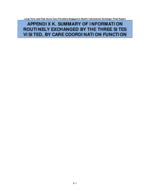 Beechwood's medical director and nursing staff expressed significant concerns with the quality and accuracy of the medication information they are receiving on discharge from the hospital to determine the correct medication plan to implement at the nursing home. Each hospital communicates medication information differently and on different forms. The medication information received from the discharging hospital is not reconciled with the patient's pre-hospital medication regime. Obtaining a complete and accurate medication history (prior to hospital stay) to reconcile with the hospital medication orders is very difficult. To ensure accuracy and patient safety, a strategy is needed to improve the medication reconciliation process for episodes of care that span prior to, during, and following discharge from hospital stays. 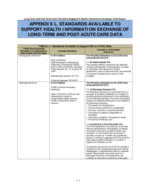 Standardized discharge summary content. 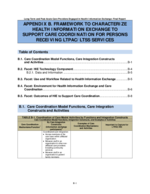 The hospital discharge summary is a crucial document in establishing a POC by Beechwood and supporting Medicare coverage for the patient. The discharge summary may not be available upon discharge. Each hospital has different information on their discharge summary -- standardization of content would be highly beneficial to the LTPAC facility. Need for customized interfaces may be a barrier. When the Western New York Beacon was trying to recruit long-term care providers one of the obstacles they encountered was not the lack of technology (EHRs and/or clinical systems were in use by LTPAC facilities, but the inability to get their vendor to develop a customized interface, the cost of the customized interface or the lack of a vendor to complete an interface (e.g., home grown, or no ongoing maintenance contract) were barriers. Even with standards, interfaces are not easy to implement. Beechwood and their vendor identified the application of standards as a challenge/barrier. The identification of standards to facilitate exchange of information does not guarantee easy implementation of data exchange. A standard may be identified, but there is significant variability in the format (e.g., HL7 message formats to make ADT feeds work). The lack of standard definitions for ADT messages is also a challenge -- most organizations have internally generated ADT events making implementation across a community challenging. 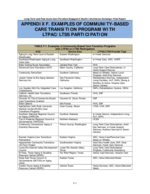 Standards such as a CCD do not necessarily have the right structure to accurately reflect the LTPAC facility summaries such as the nursing home summary at discharge/transfer. 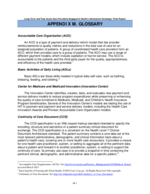 Expand type of information available on the HIE. As noted above, Beechwood reported challenges with obtaining consistent hospital information to support the transition of care process. They identified the potential of HEALTHeLINK as being a source of data, but the type of information they require is not always available. 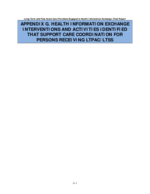 As noted during discussions with the community providers and Western New York HIEO, the HIE could evaluate the type of information the long-term care facilities use and/or request and develop plans to have the information available on the HIE. 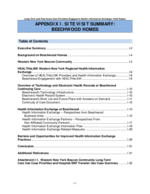 Beechwood routinely submits a written request for information from the hospital, which may take a significant amount of time to obtain (a written request is required and medical records are mailed to the facility). POC developments should include long-term care. HEALTHeLINK has begun early discussions around a patient-centered POC particularly in the context of a Medicaid health home. 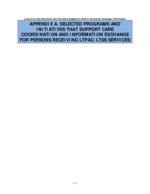 Input from LTPAC providers like Beechwood, should be considered in the process given the providers' role in coordinating and implementing a comprehensive POC that is health and wellness driven and involves multiple providers. Beechwood staff indicated during interviews that having access to a longitudinal POC would be very helpful in understanding and aligning with the overall goals for the patient.